Mindfulness is a simple but ancient approach to living, which Western medicine is now recognizing as a powerful tool for dealing with stress, chronic pain, and many other medical and psychological conditions. Mindfulness is a way of being more deeply present to your body, your thoughts, and your emotions. It is learning to work with what is already here, in a less reactive, less judgmental manner. Mindfulness helps us to "get off autopilot" and reclaim how we respond to the unavoidable stressors in our lives. Ultimately, mindfulness helps us to move into deeper levels of awareness so that we can experience the richness of life as it unfolds, moment by moment. Practicing mindfulness can lead to very deep levels of relaxation, calmness, and inner balance, as well as a greater sense of control and more effective coping with stressful situations. Find out more about the benefits of mindfulness. 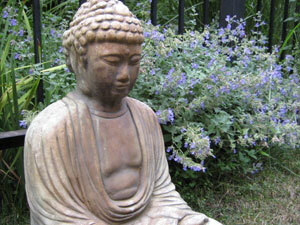 Mindfulness is the foundation of the meditation tradition known as vipassana, or insight meditation. Its principles include patience, trust, non-judging, non-striving, acceptance, and developing compassion for self and others. Mindfulness is found in many contemplative and spiritual traditions, but has been most extensively developed in Buddhist meditation. Learning the way of mindfulness, however, does not require any specific religious belief.